In the Singapore culinary scene last year, collaborations were the name of the game. This trend is primed to continue in 2018 and CURATE at Resorts World Sentosa has already set the bar up high with its upcoming ‘four hands’ lunch and dinner menu with Michelin-starred starred chef Emma Bengtsson. The female Swedish chef will be co-helming CURATE’s kitchen with chef Benjamin Halat between 12 and 18 January 2018 for Art at Curate 9. 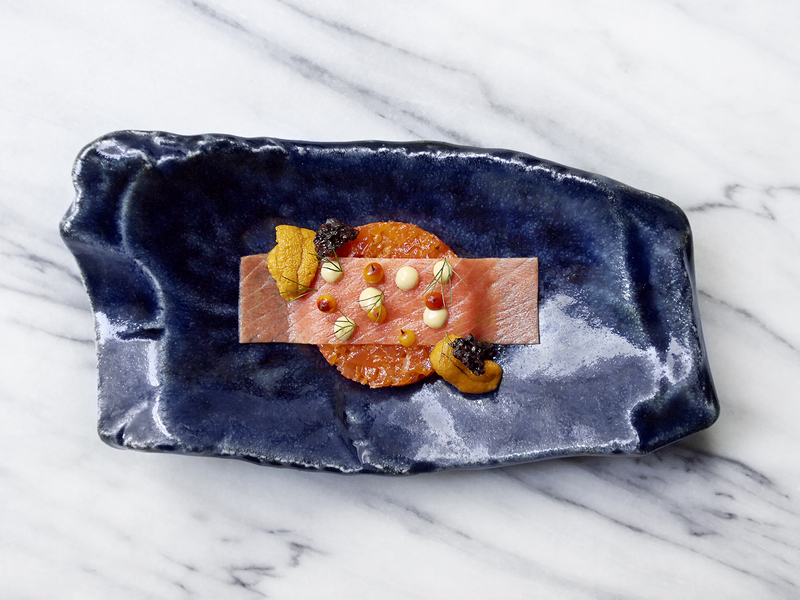 If you haven’t had the pleasure of dining at chef Bengtsson’s Aquavit establishment in New York City, this is your chance to experience her modern take on Nordic cuisine. Traditionally, Scandinavian food is dominated by a variety of seafood, soaked, doused or fermented in all sorts of sauces. Chef Bengtsson sticks to her native land’s ethos but adds a contemporary spin to them. You can find dishes such as the ubiquitous gravlax paired with sea urchin and a delicious Mangalitsa pork collar sitting on a bed of celeriac and apple in Aquavit. Thankfully, she’s bringing them to Singapore. In contrast, chef Halat will bring his extensive experience in German cuisine, which is quite the contrast to Scandinavian food, to the table. There’s a lot more to German food than just sauerkraut and sausages, and chef Halat is preparing a smorgasbord of German classics prepared using innovative techniques. We’re quite thankful that Halat’s food does not tread into Ferran Adrià’s territory. Instead, the German chef presents typical ingredients in ways you’ve never thought of. For example, his soufflated farm egg served with truffle caviar and potato cream will ignite the home chef in you. Simplicity is the ultimate perfection, and Halat’s mastery of cooking techniques that can turn basic ingredients into astonishing dishes is remarkable. CURATE is also working with leading wine critic Robert Parker Jr. and other wine connoisseurs for unique wine pairings with the ‘four hands’ lunch and dinner menus. Art at Curate 9 will be held at CURATE at Resorts World Sentosa (The Forum, Level One) from 12 to 18 January 2018. The four-course lunch is available at $88++ or $138++ with wine pairing, and the eight-course dinner is available at $155++ or $275++ with wine pairing. For reservations, please call (65) 6577 7288 or email curate@rwsentosa.com. Reservations are strictly required.